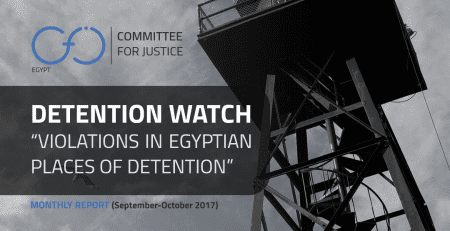 The Committee for Justice is publishing its first report of the reports’ series “Detention Watch” which are covering the human rights violations inside detention centers in Egypt. 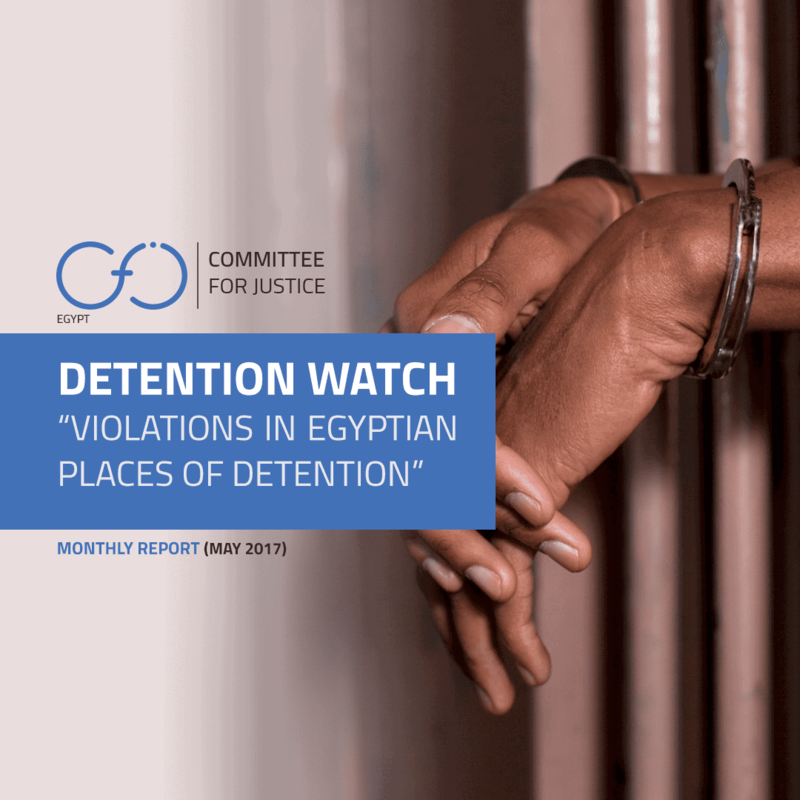 This reports series is the outcome of research efforts made by excellent researchers in Egypt working on the project of “Violations in Places of Detention”. 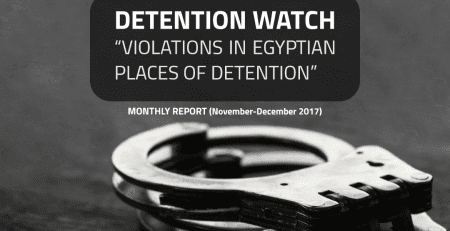 This report “Detention Watch” is the first monthly report of the project and it covers January and February 2017 cases (78 monitored cases, 27 of them were verified and documented). Following months will have separated reports for each month. A traditional Egyptian saying reflects the old dilemma of prisoners in our countries in four Arabic words that translates into: “Oppressed, are many of those imprisoned”.’ Aside from the fact that those imprisoned might be innocent under an incapable or politicized judicial system, this expressive proverb metaphorically sheds light on the injustices and violations committed against prisoners even those whose detention is justifiable and legal. 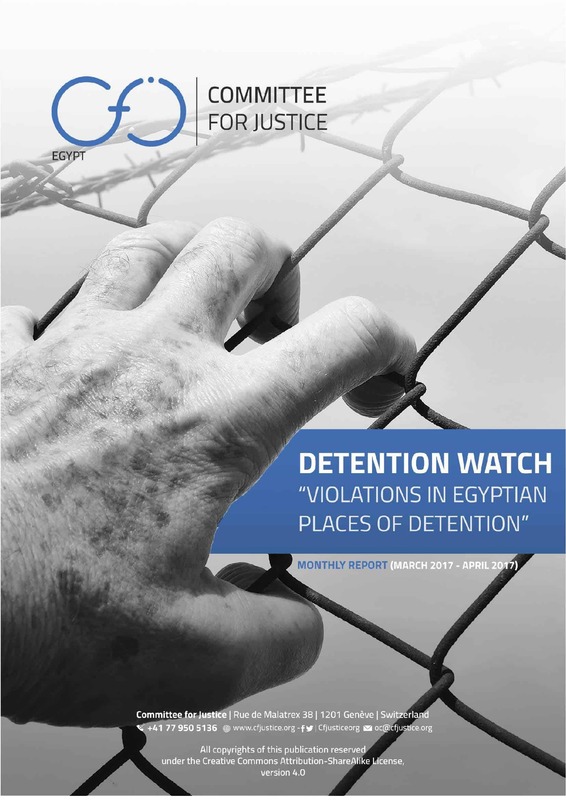 The purpose of this monthly report “Detention Monitor” is to provide an analytical overview of the human rights situation in Egyptian formal and informal detention places while holding the authorities accountable for their obligations mandated by law (Egyptian constitution, Egyptian criminal law, and international human rights treaties Egypt had signed) with analysis of such a legal framework provided in the report. 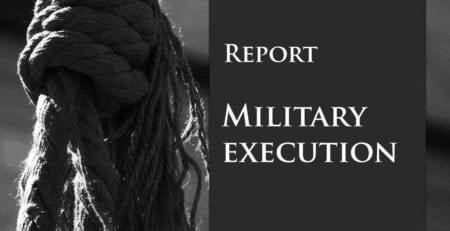 The methodology of this research primarily entailed monitoring and observing violations being reported formally and informally on a day-to-day basis. 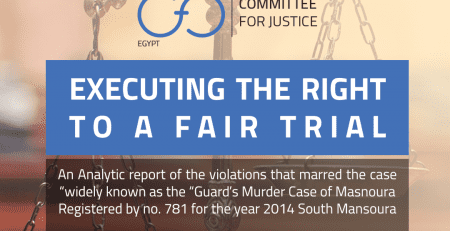 After collecting the primary data, the project team employed the verification tool; a step that is regrettably overlooked by many other human rights organizations reporting in the same field due to risk associated, difficulties in establishing contact and time consumption. Authenticating the data collected is a crucial step to safeguard the credibility of the data presented, and to be able to legally hold the violators accountable with proof. 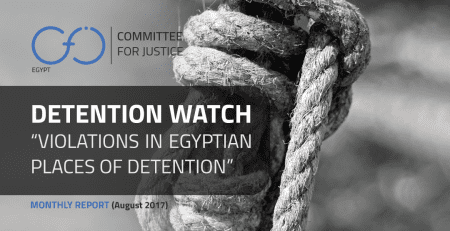 Accordingly, it was imperative for Detention Watch to communicate with the families of each detainee who suffered a violation and verify all the information needed. All the gathered data whether monitored or verified were finally compiled in this report with a contextual and statistical analysis. 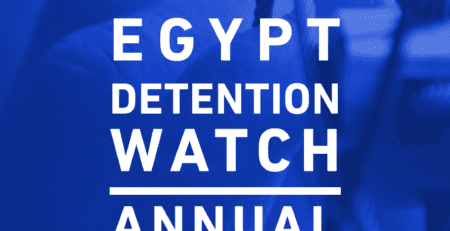 The “Violations in Places of Detention” project is established since the arbitrary arrests have explosively increased following the events of 30 June 2013. This led to overcrowding of detainees in places of detention and the use of non-commissioned places of detention as detention facilities, where detainees are placed outside the protection of the law and subjected to extended periods of torture, or even killed. 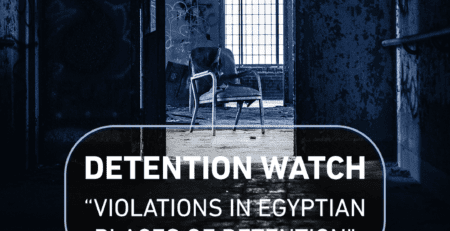 CFJ monitors all known places of detention and prepares relevant materials about violations against detainees, and field follow-up with associations of families of the victims on the national and subnational level. 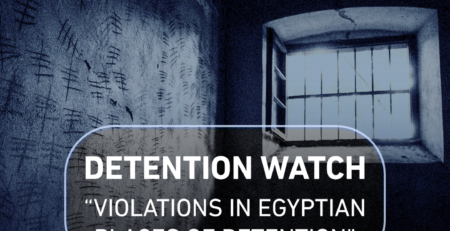 The objective of this project is increasing local civil society awareness of the detainee rights inside places of detention, and incentivizing their respective families and CSOs to independently and objectively seek to exercise self-monitoring of places of detention to the extent possible. Another objective will be to support the prevention of impunity of perpetrators of human rights violations in places of detention.